Nisi [“nee-see”] (“Island”) was premiered in 2012 by hornist Adam Unsworth (University of Michigan, Ann Arbor). The work is released on Equilibrium Records (Albany Music Distribution) along with my Kajato for horn and electronics. 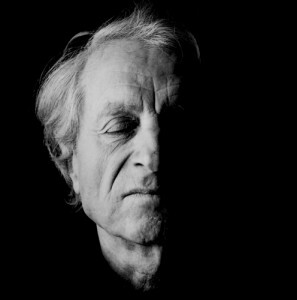 All of the electronic sounds of for Nisi are drawn from horns, in most cases from Unsworth’s own instrument(s)–recorded together at Cornell University in 2011 and 2012–with the exception of several “vocal” sounds derived from the sung text, “in vanum laboraverunt” (“labor in vain”) from Claudio Monteverdi’s Nisi Dominus (from Venetian Vespers, 1610) that appear in the last coda. More About Adam: Adam Unsworth is Associate Professor of Horn at the University of Michigan in Ann Arbor. Prior to his joining the faculty at Michigan, he spent nine years as a member of the horn section of The Philadelphia Orchestra and three years in the Detroit Symphony. Adam has appeared as a recitalist and clinician at many universities throughout the United States, and has performed repeated solo and chamber concerts at Carnegie’s Weill Recital Hall. He is the leader of his own jazz group, the Adam Unsworth Ensemble, which recorded the critically acclaimed CD, Excerpt This! and now has completed a second recording, entitled Next Step. The group is embarked on its first U.S. tour in October 2007. 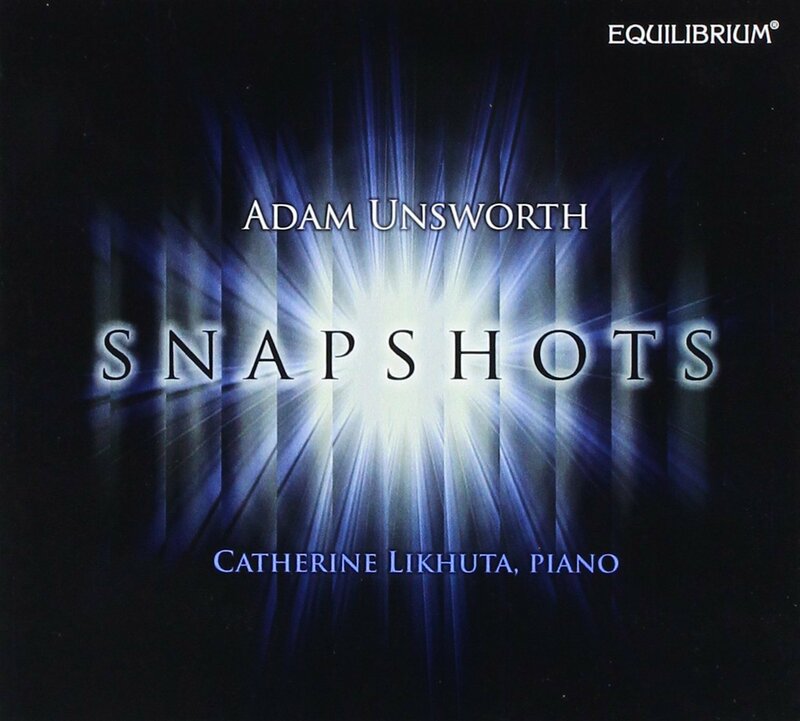 Next Step, the Adam Unsworth Ensemble’s 2008 release, is a culmination of work done after his leaving the Philadelphia Orchestra in 2007, a move made in order to devote more time and energy to teaching and creative endeavors. It features new Unsworth compositions for jazz quintet of horn, woodwinds, vibraphone, bass, and drums, and two original works by multi-woodwind virtuoso Les Thimmig. 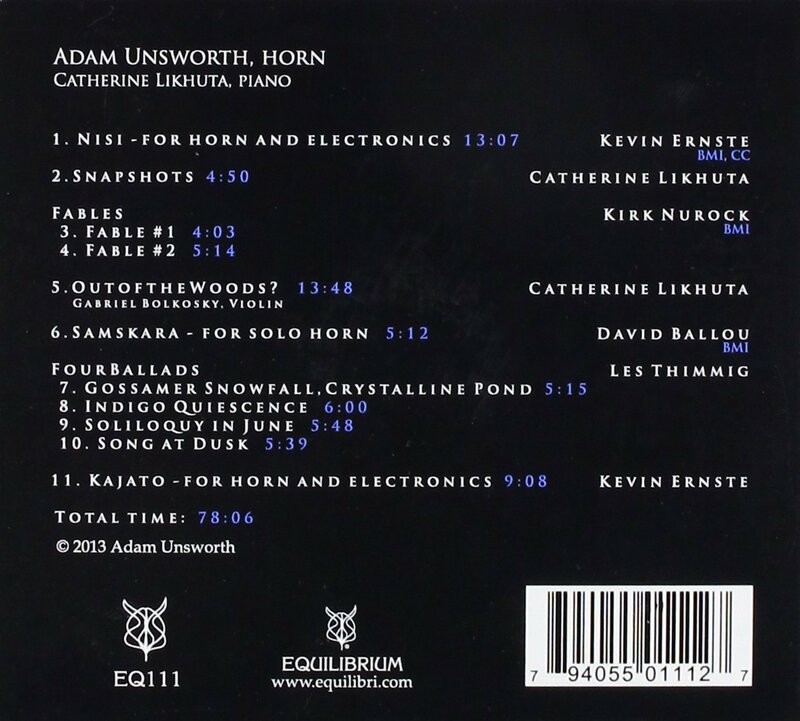 In 2006 Unsworth released Excerpt This!, a groundbreaking recording for the French horn that looks to redefine the virtuosic boundaries of the instrument. Highlighted on the CD are five of Unsworth’s compositions for jazz sextet. The instrumentation of horn, violin, alto flute, bass clarinet, vibraphone, bass, and drums is unique and creates a texture that truly embodies the term chamber jazz. Joining Unsworth on Excerpt This! are Philadelphia jazz greats Tony Miceli, Diane Monroe, Ranaan Meyer, and Cornell Rochester, as well as Les Thimmig from Madison, WI. In addition to the works for sextet, the CD includes unaccompanied jazz works for horn by Unsworth, Les Thimmig and Dana Wilson. A score and other performance directions can be obtained here. Software for Nisi (or for educational purposes) can also be found here.